One of the features of Visual Studio 2008 is the ability to test Web applications using Web Tests. 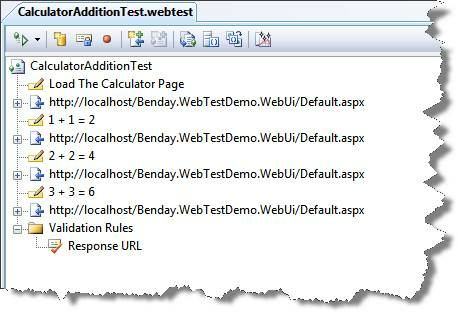 Web Tests allow you to record a user's path through a running Web application and turn these actions into an automated test that Visual Studio can later run against subsequent builds of your application. 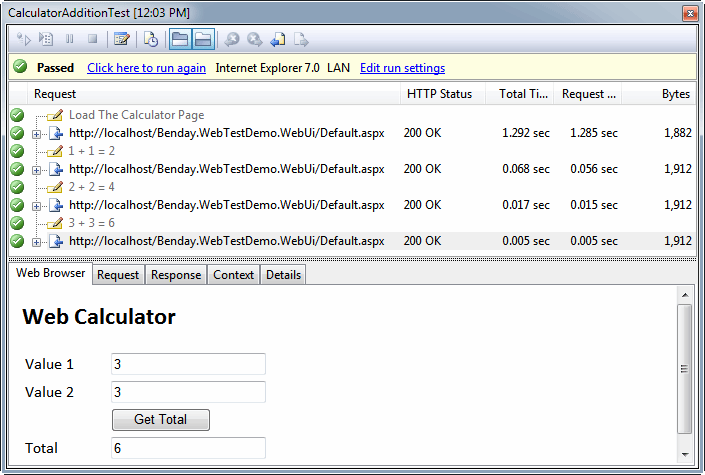 One of the great features of Visual Studio 2008 is the ability to test Web applications using Web Tests. 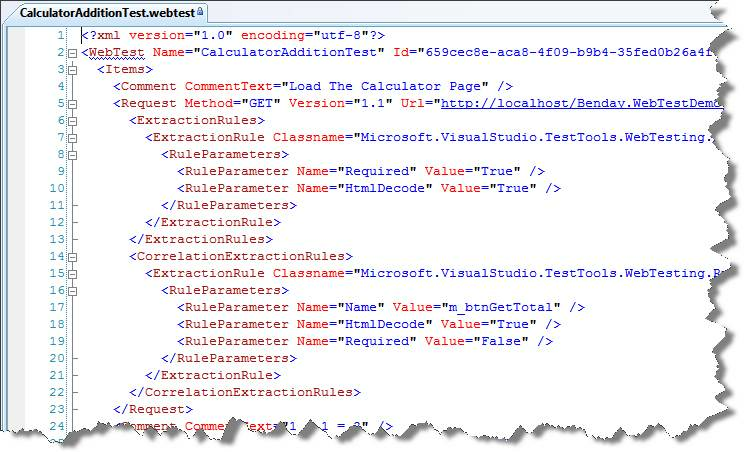 Web Tests allow you to record a user's path through a running Web application and turn these actions into an automated test that Visual Studio can later run against subsequent builds of your application. They're immensely helpful for quickly validating Web application builds to see if your application is working properly. The idea is that you record your use cases as Web Tests and then Visual Studio can QA your application for you. This eliminates a lot of tedious manual testing and can greatly speed up your testing cycles. In order to create a Web Test, you use a browser and the Web Test Recorder plug-in to record yourself clicking through the application. When you click the stop button, Visual Studio has recorded everything you just did as a Web Test. Once you've recorded the basic structure of your web tests, you can then add Validation Rules and Extraction Rules to build up more intense and rigorous tests. This line tells the build process to look for any DLLs in the build output directory where the filename ends with *.UnitTests.dll. Any matching file will be run as a unit test assembly. Recorded Web Tests work differently – rather than being part of a compiled assembly, they're actually XML scripts. This means that the test runner references them differently and that they are treated differently by the build. When the build runs, any web test files (*.webtest) get copied to the build output directory. In order to make your Web tests run as part of your build, you have to add an additional directive to the build script. If you add the directive as shown in Figure 6, check in your TFSBuild.proj build script, and run your build, you'll now see that your Web tests are executing as part of the build. A simple fix.